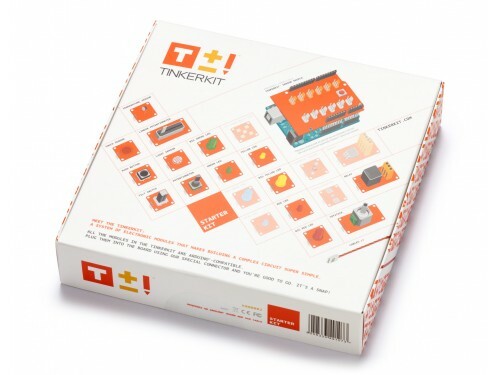 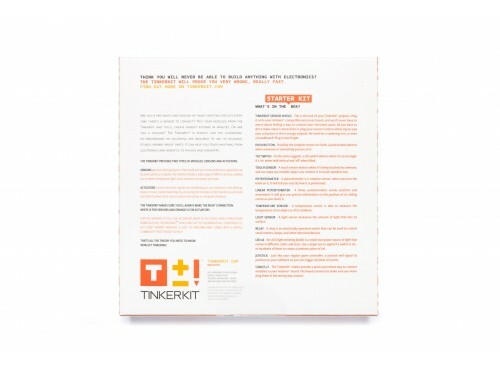 The Tinkerkit Starter aims to design interactive interfaces. 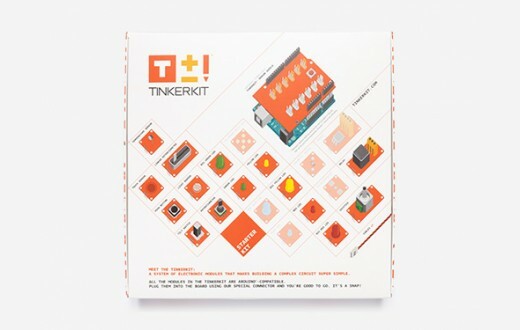 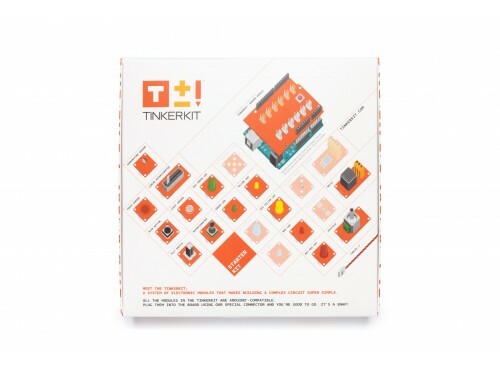 The Starter Kit is a pack of different TinkerKit Modules, aimed to start designing interactive environments / prototype interfaces without using the breadboard or the soldering iron. 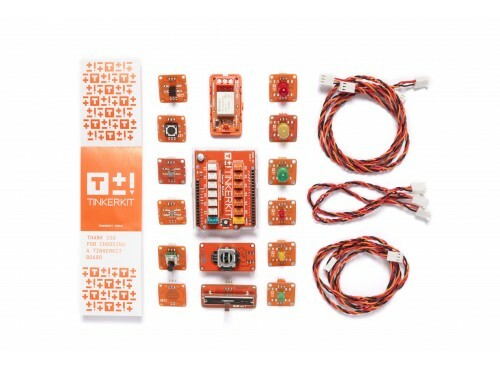 The Starter Kit consists in the Sensor Shield V.2, 8 different Sensors, 7 Actuators, and some cables.